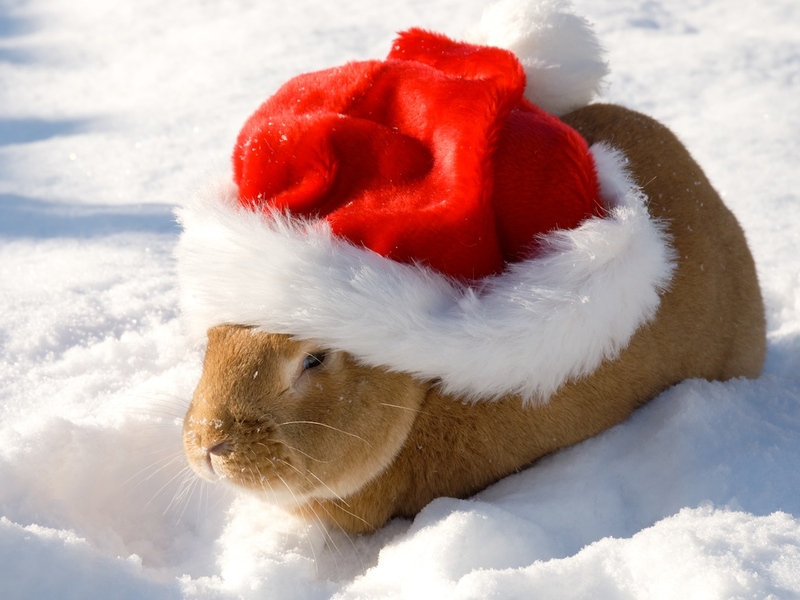 Winter is now approaching and so the issue of raising rabbits in cold weather is on many rabbit breeders minds. As with any livestock on the homestead winter can present many challenges in the proper care of these animals. Rabbits are very adaptable to cold temperatures much more than the heat. Cold weather will invigorate your rabbits and bring out their natural playfulness. Temperatures below freezing for extended periods of time and strong winds that lower the wind chill temps can be a problem for newborn or young rabbits. Make shure that the location of your rabbitry, be it in a barn, shed or hutches should be located in a sheltered area. This will be some added protection from the wind, especially north winds. It should have a roof of some kind and, depending on the kind of shelter, will need protection on the sides. Wooden hutches with wire bottoms and wire fronts are great for cold weather because they offer protection on the top and three sides. For maximum storm protection, a heavy canvas cover can be made for the front of the cage that will be rolled up during nice weather, but that can be put into place during wind, storms, and at night. Rabbits can withstand very low temps as long as they can remain dry and find insulation from the cold to conserve body heat (using a nest-box full of straw or putting large amounts of bedding in their cages). Most meat breeds of rabbits have a thick coat which is a exceptional insulator against the weather, but if water reaches their skin they will be unable to stay warm. The key to winter housing for rabbits is to avoid the drafts and swirls of winter air which can stress your rabbits and reduce their natural immune system. Your rabbits MUST stay dry. If you have no enclosed rabbit barn, plastic sheeting should be stapled to the back and sides or temporary wood sides and backs should be used. You must remember to cover, close to the ground to prevent updrafts into the cage but leave some space for the rabbit to get fresh air, stale humid air is very unhealthy for rabbits. It is important not to completely block ventilation in you rabbit barn, shed, or hutchs. Ventilation in the rabbitry is just as important in the winter as it is in the summer. Insulating a barn for the winter will help keep the barn a little warmer. A balance between shelter and ventilation is important! 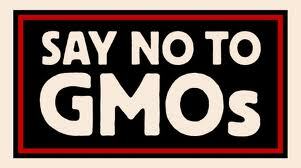 I have had over 25 cages/hutches outside they have a roof over them and have the back covered. In the winter I cover the sides and bottom of the front of cage with heavy plastic. I leave a gap at the very top and bottom for airflow and in bad weather will put a roll down cover in the front, sometimes in really bad weather I will also fill a nest-box with straw and put in the cage for the rabbit to keep warm. This would be similar to a wild rabbit going into its den during extreme cold. I have also made some “ARTIC WEATHER CAGES” that I only use in the winter that has three sides covered with plywood and the bottom front with plastic. I have the sides and back walls double thickness with foam insulation between the plywood. I have had litters in these all winter long with never any problems with no additional heat! In my own experience young rabbits seem to grow better and have less health problems in cool or cold weather (They do grow slower in the winter). Most other rabbit breeders tell me that litters can’t be born outdoors when the temperature is below freezing. Well, here in Maine, my doe’s haven’t heard about that (don’t tell them either! ), and produce young year round, freezing weather or not. As long as plenty of nesting material is provided and the mother covers her babies with fur, the bunnies won’t freeze. The nesting material I’ve found most suitable for winter use is wood shavings and straw, which mix well with the fur and can be burrowed into for warmth. One reason I don’t have problems with does losing litters to cold weather is that I cull any female that doesn’t pull out enough hair to make a good nest. We’ve been raising rabbits for about 30 years and have lost an occasional kit in the winter but never an entire litter. By observing your rabbits and culling you can make your bloodline do what you want. I have only had problems with rabbits in the cold when the kits clung on to their mothers teat and got pulled out of the nest-box and into the cold after nursing. It gets cold here some times -12 to as low as -20. I have heard from other breeders in cold climates and they also breed all winter long. I have also made some insulated closed nest boxes that work great in the outside hutches but you got to keep the bedding clean and dry if wet it will freeze and freeze the kits so more management is needed. I have seen some really good ideas people have come up with Christmas tree lights in nest-boxes, lights under the nest-box, heat lights above the boxes, commercial nest-box warmers (I refuse to use bought power to raise rabbits, unless I make it here with the wind and sun. I am working on methane production next). 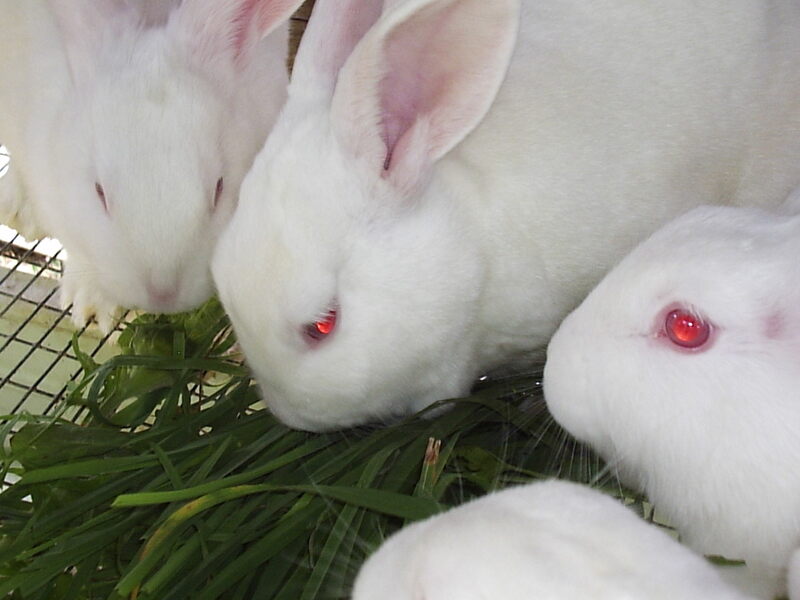 My rabbits are all receptive to breed in the winter without added lights or heat (selective breeding for your area works awsome) but if you have problems breeding your rabbits in the winter try running lights to extend the light period for 14 to 16 hours a day (you could rig up some of the solar path lights). Breeding through the winter can present problems, kits are born without fur the doe compensates for this by pulling lots of fur and covering the kits. I use my wooden nest boxes lined with cardboard. I put a inch of shavings on the base of the nest-box and cover with another layer of cardbord. By sandwiching the shavings between 2 layers of cardboard to keep the floor of the box insulated.I also line the sides with cardbord. I have seen breeders that take the nest-boxes into the house put the does name or number on the box and then bring the boxes back to the does cages 1 or 2 times a day to let her feed her kits with great results, you usally only need to worry for the first 2 weeks then the kits get enough fur to survive the cold temperatures and will often huddle together for added warmth then you can leave the boxes in with the does. WATER- Is the main concern in the winter because of frozen water crocks. I use water bottles all the time except in the winter I switch over to metal crocks (metal does not crack due to the expanding ice). Some breeders still use bottles and have spares to swap out the frozen bottles. I Have found that the metal tubes freeze to quickly and the water in the bottles will still not be frozen but the water is not available to the rabbits because of the frozen tube. The metal crocks are easier to thaw out than plastic or glass, it takes a 5 gallon bucket of hot water to thaw all of my crocks. I drop a few crocks in the hot water and the ice pops out, I put the ice in a separate bucket to make the hot water last longer. Some people use hammers to smash out the ice or just have spare crocks. Your diligence in making sure they have fresh water greatly increases their comfort level and chances of survival. Rabbits will not eat if there is no water available they need the food calories to keep warm. You should make sure to provide fresh ice free water at least 2 times a day once in the morning and again in the evening ,preferably more often if you can. FEED- It takes more energy for a rabbit to keep warm they are burning more calories during frigid temperatures trying to generate more body heat. Hay and feed should be slightly increased as they will need the extra calories in the winter to maintain their body weight. It is important not to overfeed! Feed to maintain their body weight. Rabbits that gain weight in the winter will not breed and if you do not breed in the winter they will have problems breeding in the following spring. I have some friends in Alaska that feed a condition mix in the winter (2/3 crimped oats,1/3 crimped barley plus a few black sunflower seeds) to keep them maintained at the proper body weight. My winter herbal hay mix that I make up (will do a post on this in the spring) has dry basil leaves added, this herb acts as a warming and uplifting tonic for nervous rabbits or added benefit in any cold conditions. HEALTH- A rabbits body temperature is 101.5 to 103 degree Fahrenheit. When their body temperature drops below 100 degrees rectal temp it must be warmed up immediately or hypothermia will set in and kill the rabbit. The way to warm a rabbit depends on the severity of hypothermia. Mild hypothermia is when the temps get to 86-89 degrees-Treatment would be packing the rabbit between warm water bottles wrapped in a towels until body temp returns to normal. Warming the rabbit to quickly will put the rabbit in shock. Moderate hypothermia 71 to 77 degrees and Severe hypothermia 32 to 47 degrees rectal temperature. Begin treatment by bringing rabbit into a heated room and allow to warm naturally and then use the water bottles as recommended for mild hypothermia to get the rabbit back to normal body temp. Avoid rubbing the rabbit as this can increase the flow of cold blood into the core of the body increasing the depth of hypothermia. If the core body heat is lost the rabbit will enter a kind of suspended animation were the normal body functions slow down. In many cases,the animal will survive if you follow the procedures as listed. I have never had a case of hypothermia in any of my rabbits. If you take care to feed and water your rabbits no matter how bad the weather is! (it is up to you to take the responsibility to care for your herd) Your rabbits will handle the winter weather fine. Keep an old towel on hand to dry your rabbits if they get wet from unexpected winter storms. I have never lost any rabbit in the winter other than the young kits that have been dragged out of the nest box when nursing. Cold weather can be deadly for any animal, but with a few precautions and your rabbit’s naturally well-insulated body, the animal can live warm and comfortable in even the coldest climates. Rabbits survive in the wild further north than most other animals, but your rabbits relie on you to give it the benifits that allow their wild ancesters to live throughout the year. Join The Rabbit Revolution! By liking us on Facebook to receive daily rabbit tips, tricks, and ideas! Also subscribe to the blog via email and receive updates as the new post are put up.